Exquisite. 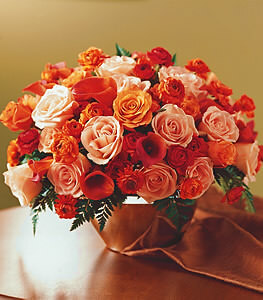 A bevy of orange roses and peach roses blend with spectacular orange ranunculus. Rust colored mini calla lilies add sophistication to this already breathtaking arrangement. An elegant gift.